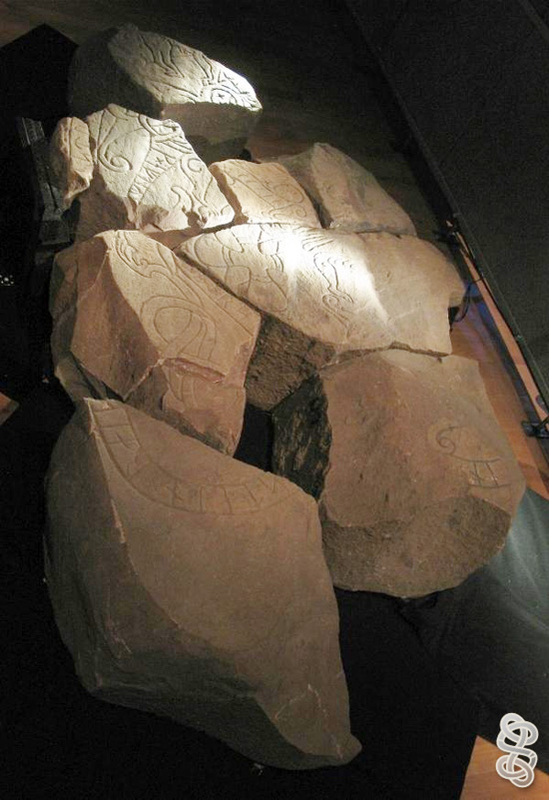 Several rune stone fragments that were first thought to have been parts of three different rune stones, but then yet another fragment was found, and it turned out that they all came from just one rune stone. Let's hope that they will find more parts to make the stone more complete. You can see this rune stone at Museum of National Antiquities in Stockholm. My friend Ogneslav did, and he sent me the photo. Thanks!